Jane has these Monogram Heart Tees / Youth & Adult marked down to $16.99. Does it get any cuter??! 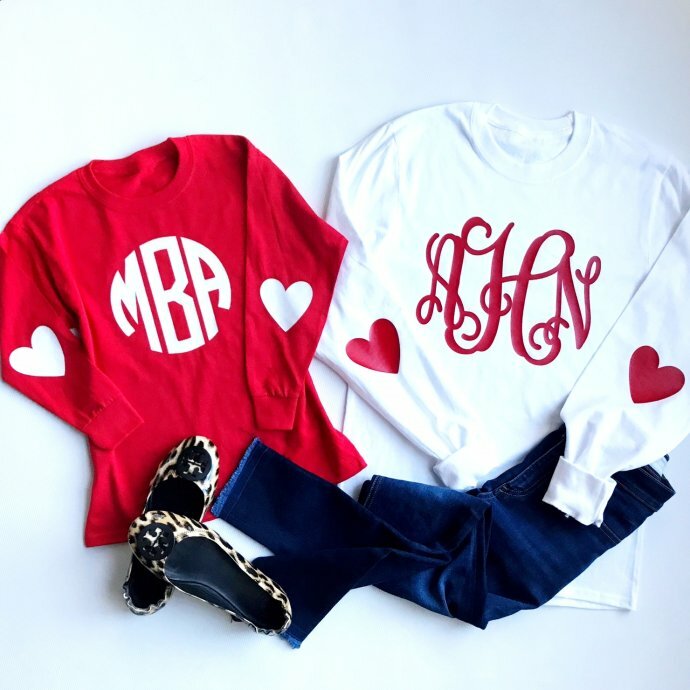 Valentine monogram long sleeve tees with heart elbows! A million ways to wear these adorable monogram long sleeve tees. Youth & adult sizing available!